MoM Project has been around on the local news in each of the four countries involved in the project. 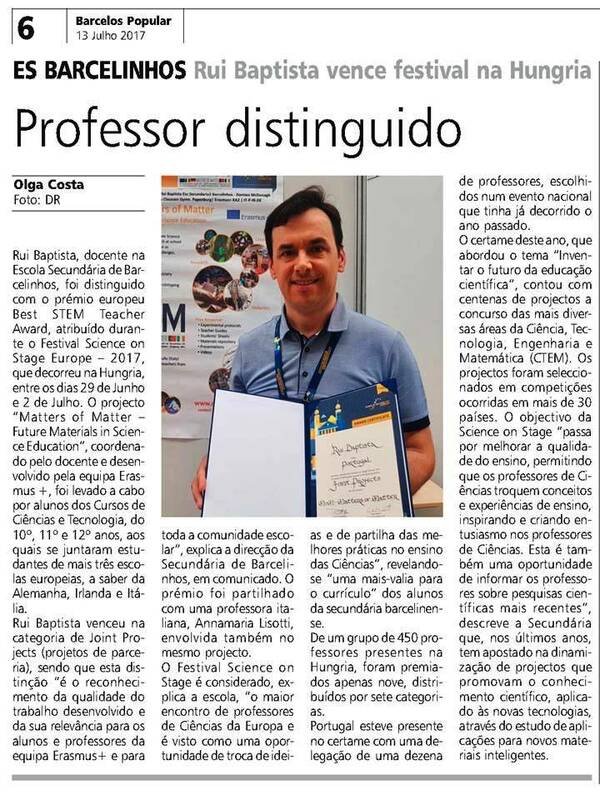 The Portuguese team and the MoM Project have been singled out in the local press throughout the three years of the project. Introducing the MoM Project to the local community. 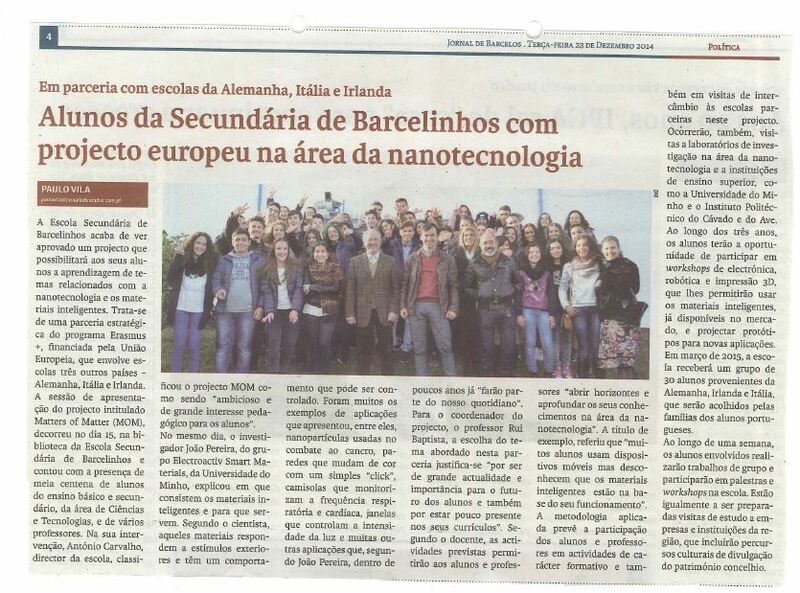 JORNAL DE BARCELOS, 23 December 2014. MoM Conference organised by the Portuguese team about the use of smart materials in the textile industry. BARCELOS POPULAR, 21 January 2016. 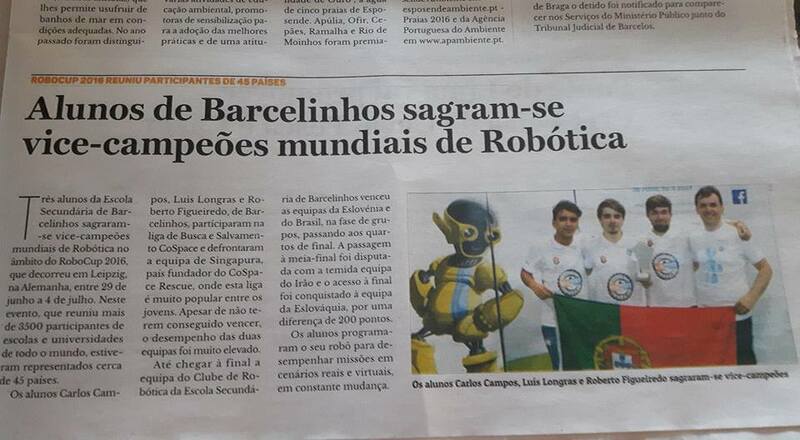 MoM team members are 2nd in world championship RoboCup 2016 in Germany. JORNAL DE BARCELOS, July 2016. Debrecen, Hungary, 29 June to 2 July. BARCELOS POPULAR, 13 July 2017. JORNAL DE BARCELOS, 12 July 2017. Radio Interview – RADIO BARCELOS, 6 July 2017. 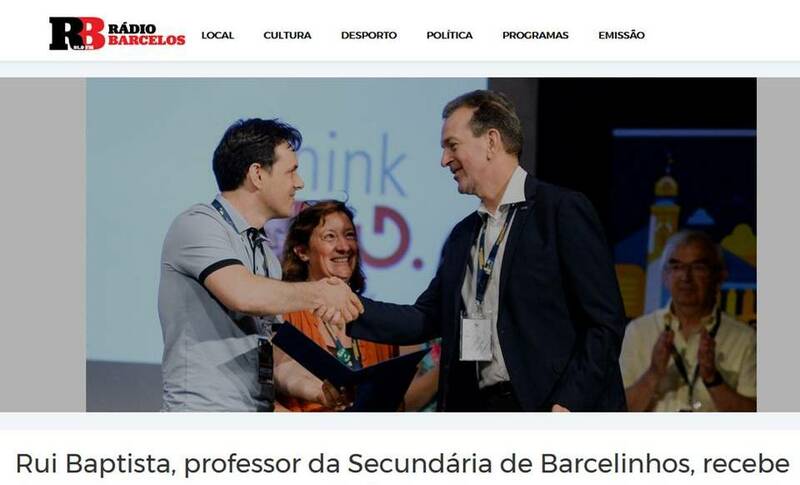 The MoM team was represented by teachers Annamaria Lisotti, coordinator of MoM project and the Italian team, and Rui Baptista, coordinator of the Portuguese team. 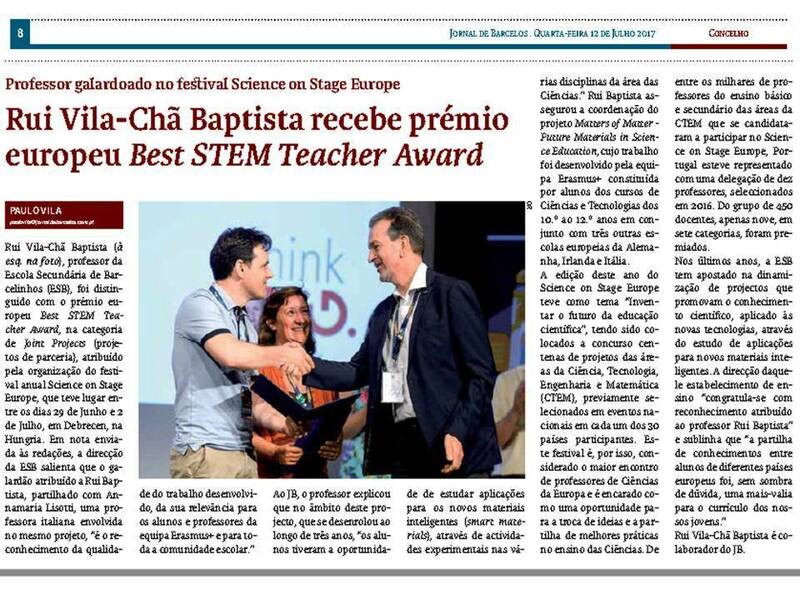 The project was awarded the Best STEM Teacher Award in the category of Joint Projects.